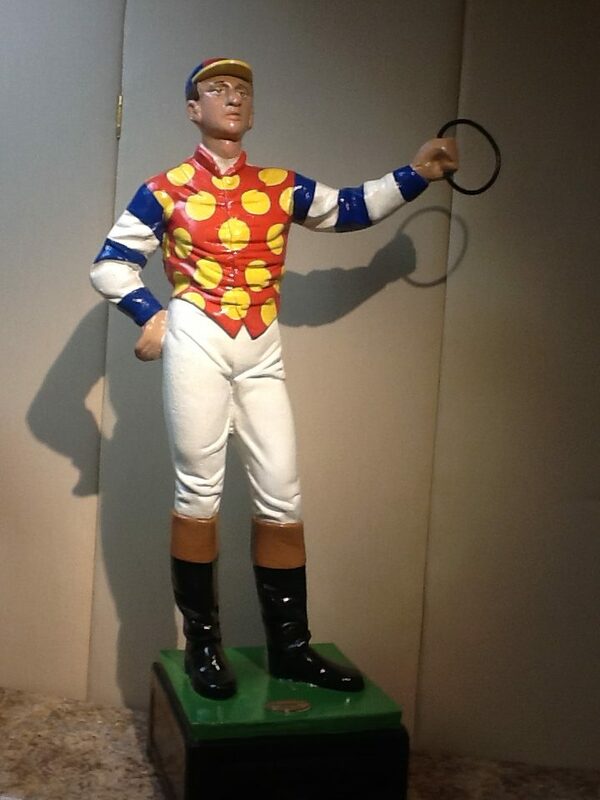 What is the history of the lawn jockey? Saratoga Springs comes to life in the summer, and nothing marks the beginning of summer quite like the lawn jockey statues that seem to adorn almost every yard in town. 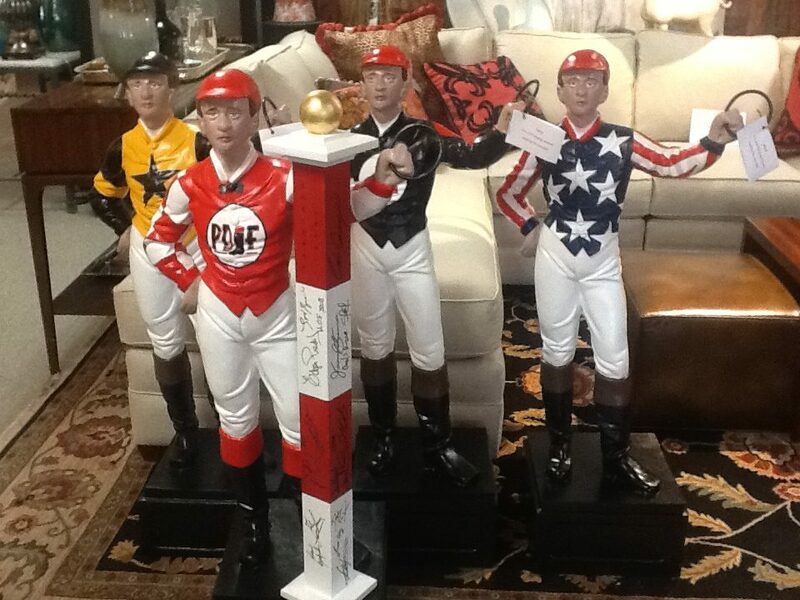 There are a few different accounts as to how the first lawn jockey came to be. The first of which dates back to George Washington, who was a General at the time. The story takes place Just before Washington made his historic crossing of the Delaware River to surprise attack Hessian forces. Legend states that Washington asked his young groomsman to stay behind and look after his horses, fearing he was too young for such a dangerous journey. He was to mark the shore by lantern. When the soldiers crossed back, they found the young man frozen solid where he stood with the lantern still in his hand. On that day Jocko Graves made a selfless sacrifice. He stayed faithful to his post and the task before him at the cost of his life. Washington was so taken by Jocko’s sacrifice that he had an Iron statue cast of him holding the lantern. General Washington had the statue placed at his Mount Vernon estate. He called the sculpture ‘The Faithful Groomsman’.” This is how the tradition of the lawn jockey statue came to be. It is also said that Lawn jockeys may have played a role in the Underground Railroad. The jockeys would mark dangerous routes and safe houses along the journey north. Different lanterns, and flags tied to the jockey’s arm would signal whether a route was safe or not. 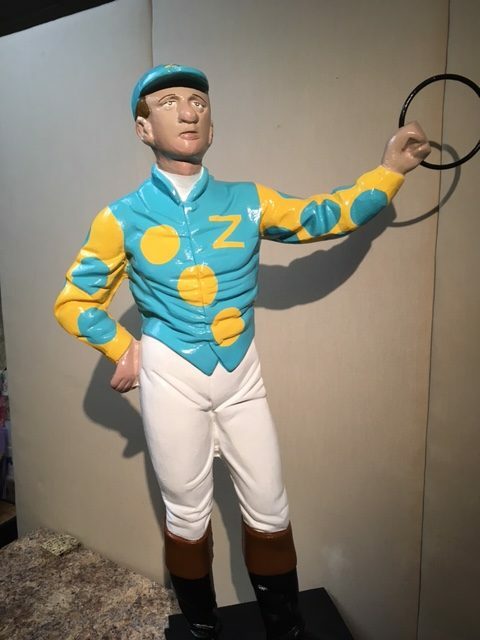 Traditionally, summer residents of Saratoga Springs would place lawn jockeys in their yard to signify that they were in town. 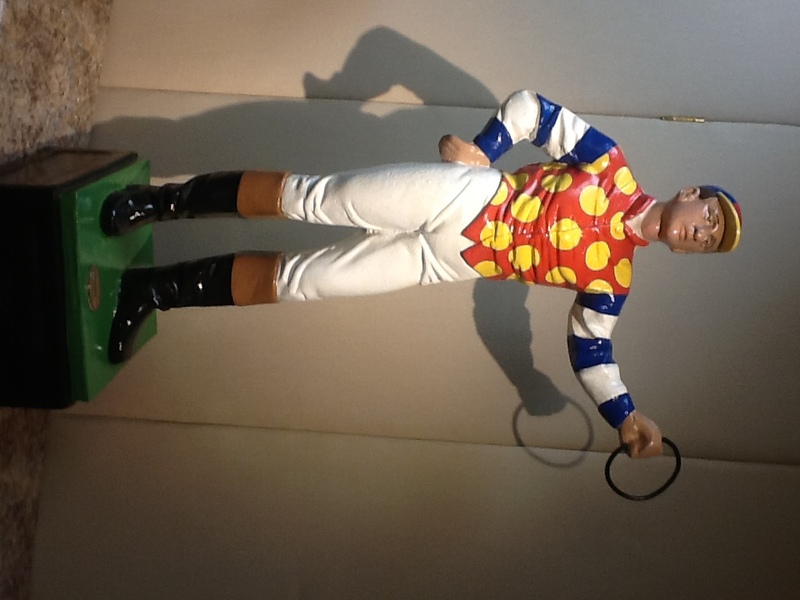 Today, lawn jockey statues have become synonymous with Saratoga and racing culture. For many residents, year round and summer alike, racing is a huge part of Saratoga life, and the various silks and colors are easily recognizable. Their bright colors and unique designs are a beautiful addition to the front of any race fan’s yard.